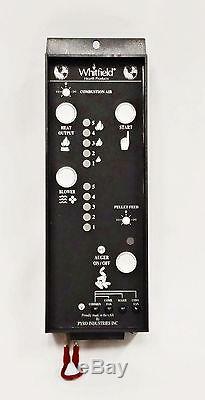 Whitfield Advantage Series Control Board. Newest Style Touch Pad LED Control Board. Factory replacement for the Whitfield Advantage, Advantage Plus and IIT (2T) Models. This board is for all Advantage Series models EXCEPT the ADVANTAGE IIT CLASSIC; for this model you will require board 12055912. This board will also replace the old rotary style board used on earlier Advantage models; Replaces Part Numbers 25220801 & 12155900R. Please note the Quest and Quest Plus will use a different circuit/control board. Full Assembly Control Board (Works for auto and non-auto ignition units- remove bottom jumper for ignition wires if applicable). Genuine Whitfield / IHP OEM Part. Please make sure you require a control board prior to ordering. Over 25 years of trusted value and commitment to our customers. 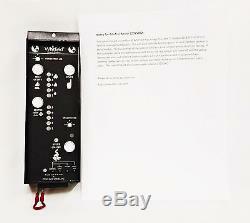 The item "Whitfield Advantage Plus, 2T, 1, 2, 3 Control Circuit Board, 12025902 12055902" is in sale since Wednesday, January 10, 2018. This item is in the category "Home & Garden\Home Improvement\Heating, Cooling & Air\Fireplaces & Stoves\Replacement Parts".